I am officially three quarters of the way through now, yay! With just ten weeks left time seems to be going really fast. This week baby Twinkle could be as much as 3.5lbs (1.6kg) and 43cm (17 inches) which is apparently around the size of a cantaloupe or a platypus (minus the tail!) She is busy putting on fat and developing her vision and is (hopefully) settling in the head down position. She is still super active, quite often you can feel a little foot or hand poking out (or maybe it&apos;s a knee or an elbow, who knows!) which is both weird and cute at the same time. She is actually wriggling around like mad right now as I type this! I am still feeling absolutely fine in myself but my back has started to get a bit more troublesome and I&apos;ve had quite a few bad days with it this week. Sometimes it has been my own fault (like the other day when I overdid the cleaning and knew I was going to struggle afterwards) and sometimes it seems quite random and is really bad even though I haven&apos;t overdone things at all. I&apos;ve also been feeling pretty tired this week but I&apos;m so big and heavy now so that&apos;s not very surprising. I&apos;m also finding that just little everyday things like putting my shoes on, shaving my legs, carrying Totsy upstairs and picking things up from the floor etc are getting so much harder all the time! After two weeks off work due to the Easter holidays, when I went back on Monday EVERYONE commented on my size, fortunately I have developed quite a thick skin to being called huge now and being asked if it&apos;s twins and find it quite amusing! My swollen feet also made a return after a day at work, which seems strange as my job is a desk job and other than a twenty minute walkabout when I was on duty supervising students at lunchtime and the odd walk around the office when I had sat too long (which is as bad for my back as standing too long) I was sitting down all day. I only have 7 more weeks now before maternity leave! I&apos;ve decided to finish at 37 weeks, and although I&apos;ve had the odd doubt thinking it might be a bit early (I worked until 39 weeks with Tinker and 38 weeks with Totsy) I think it will be nice to have those last few weeks at home with the girls before Twinkle&apos;s arrival, especially as I know I won&apos;t be going overdue (I will be induced on or before my due date because of my age). 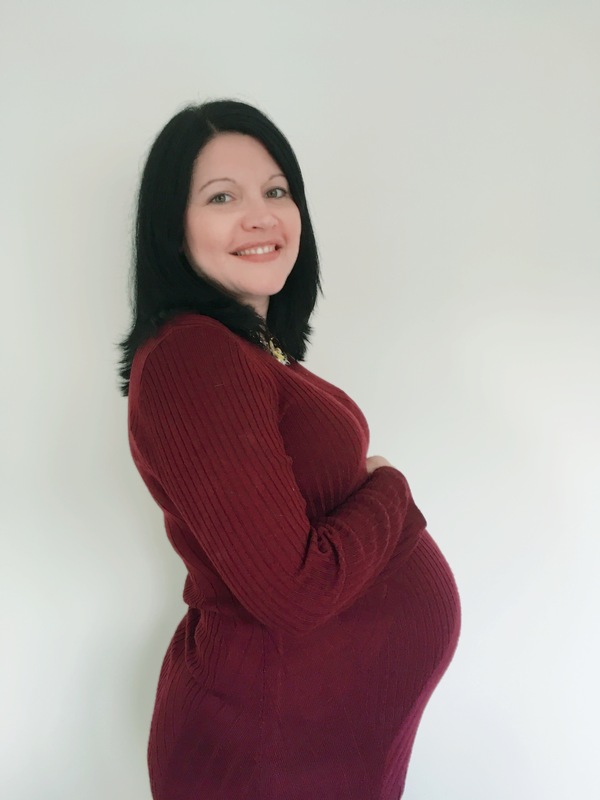 Don&apos;t forget to catch up with my 29 weeks pregnant update if you missed it last week. Tags: 30 weeks pregnant, maternity leave. Bookmark the permalink.